“Rebirth” is an experimental short film by Patryk Kizny, a visual artist recognized for pioneering motion-controlled time lapse cinematography and exploring innovative imaging techniques. “Rebirth” is the first film ever to pioneer the use of high-end point-cloud data visualizations obtained via laser scanning as a means of expression. Set in an extraordinary decaying church in Zeliszow, Poland (known from a short film “The Chapel”, 2010) the film combines art and technology to answer fundamental questions of humanity through a metaphysical story exploring human desire for transcendence and achieving immortality through creation. The film’s distinctive qualities are based on cross-discipline visual approach, an innovative use of emerging technologies and as such the film has no precedence in the history of visual arts and cinema. Irena Lipinska performing dance choreography for Rebirth. 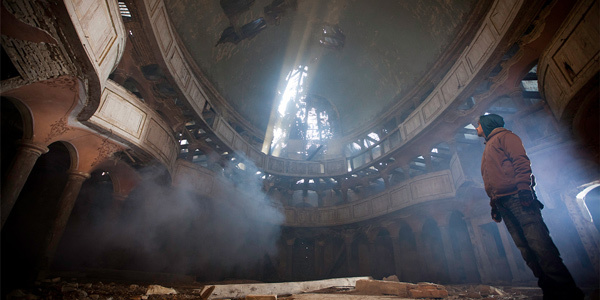 To some extent, the film builds on previous Kizny’s experience with motion-controlled and HDR time lapse used in famous “The Chapel” (2010) or “The Dreams Come True” (2011). Yet, with this short film Kizny steps far beyond typical visual means such as live action cinematography or time lapse, reaching for such innovative imaging techniques as laser scanning, used for the first time in film as a mean of expression and point cloud-based visuals combined with motion capture or photogrammetry. Interior of the temple in Zeliszow, Poland. That’s where the story started back in 2010. The project has been supported by a vast range of industry professionals, and companies from the VFX, laser scanning, heritage documentation and data processing industries including Autodesk, Alice Labs, Geomagic, Designing Reality or Thinkbox Software. Through the project we have also established a partnership with CyArk, one of the world leading digital heritage preservation archives. Selected range of media will be included in CyArk online archive and made available to the public along with scanning documentation of the object. It’s been already over 2 years. As for now we have completed most of the production and we’re highly advanced in post production. You can check work-in-progress postings track record at http://labs.kizny.com/tagged/thechapelrebirth and at http://rebirth-film.com. 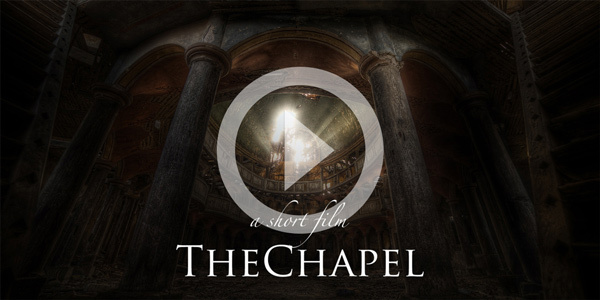 Watch “The Chapel” (2010) – previous Kizny’s film shot in the same location as Rebirth.